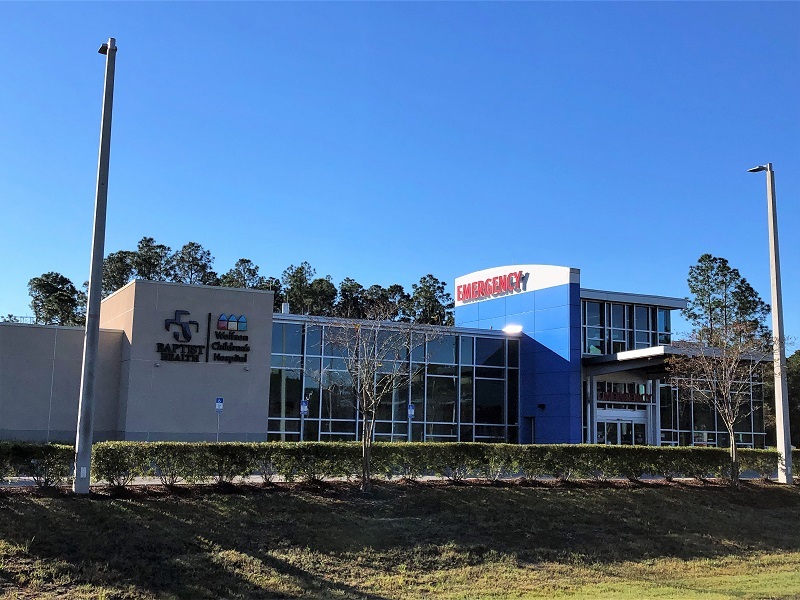 Baptist Health is continuing to grow their free-standing emergency centers in the Jacksonville community with a new 1-story, 17,000 SF emergency department at the St Johns Town Center. This emergency center comes after the first Baptist Health │Wolfson Children’s Clay Outpatient and Emergency Center in Flemming Island, FL. 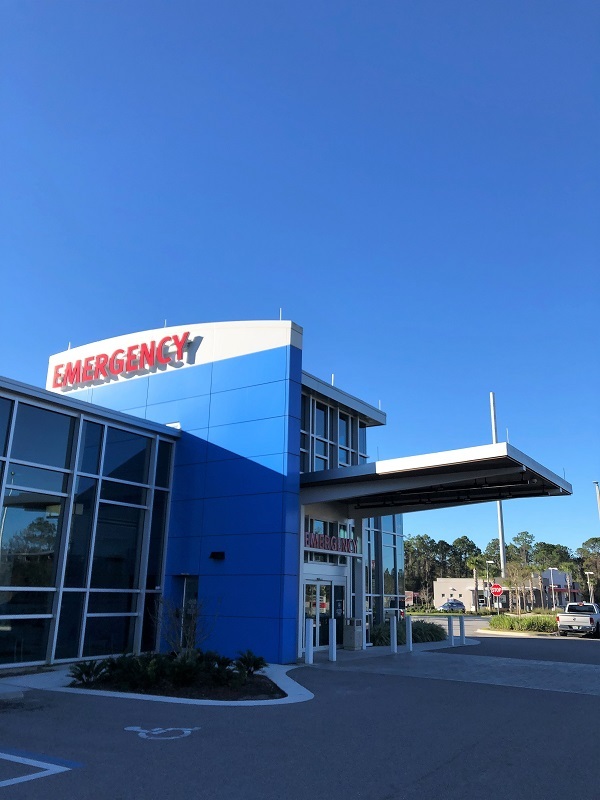 The demand for these emergency centers in the Jacksonville community have increased for both adults and pediatric patients. While sharing a common entrance, the Emergency Center is specially designed to meet the needs of two very different patient populations. One side of the Baptist Health │ Wolfson Children’s Emergency Center has a dedicated waiting area and eight adult emergency beds. The other side of the building has been completely dedicated to meet the unique needs of Wolfson Children’s patients and their families, with a separate waiting area and eight children’s emergency beds. 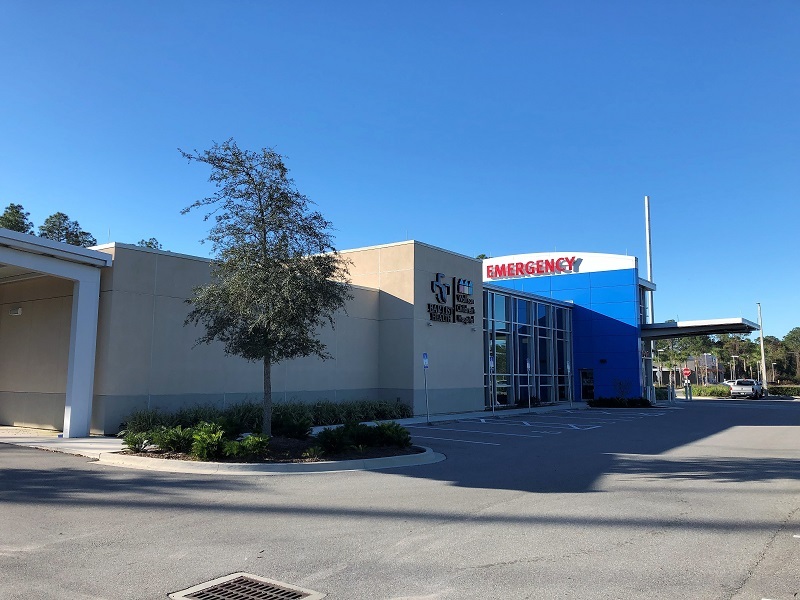 The structural design of the St Johns Town Center Emergency Department consists of a typical steel roof deck and mechanical composite steel roof system supported on steel beams, columns and spread foundations. The lateral force resisting system consists of composite steel deck and metal roof deck diaphragms which transfer lateral load to the braced frames and moment frames (via knee braces) at each column line acting as the vertical lateral load resisting system.